Our apps offer you a possibility to share a map, privately or publicly, with GIS Cloud Premium users or groups of users, as well as setting up different sharing permissions for each user or group of users. Open a map you want to share. Click the Share and Publish option on Map tab. 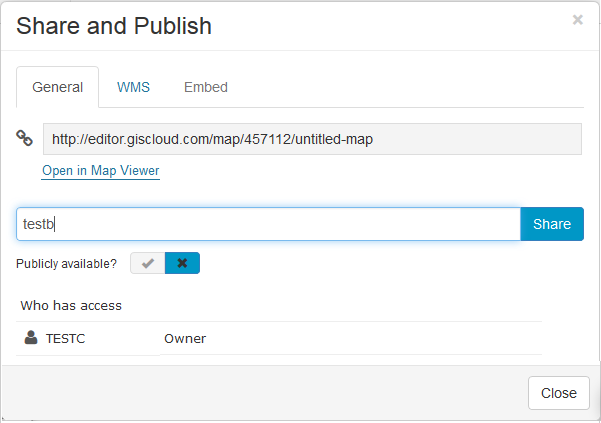 Start to write GIS Cloud username of the user you want to share a map. Set Sharing Permissions for users. Permalink – The URL appearing in the permalink field allows you to share a direct link to your project from any browser. 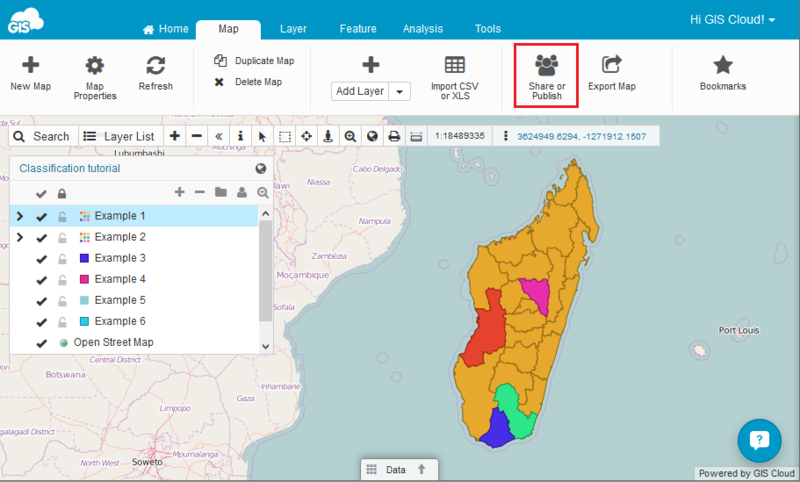 Open in Map Viewer – opens a map in the Map Viewer application. Share With the User – write username of the user you want to share a map with. Publicly available – if box is checked maps are visible to everyone on the Home tab under Public Maps, whether they are registered or non-registered GIS Cloud users. 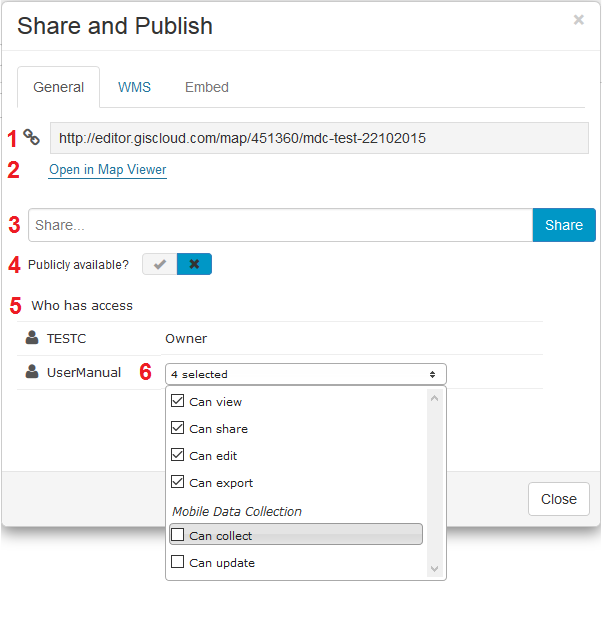 Who has access – Collaborate with other GIS Cloud users. Can view – will provide only viewing privileges to the person you have shared your map with. Can share – will provide sharing privileges to the person you have shared your map with. Can edit – will provide complete editing privileges to the person you have shared your map with. Can collect – will allow the person in the field to send new data, without possibility to make changes to existing data or the one that he has already sent through Mobile Data Collection application. Can update – will allow the person in the field to make attribute and geometry changes, without possibility to send new data through Mobile Data Collection application.